This wonderful Hall is situated in the heart of the community in West Street. The Queen Victoria Hall, Oundle is a registered charity (Charity No 1000943) administered in Trust since 29 July 1904. The Trust was created in order to commemorate the death of Her late Majesty Queen Victoria by creating a public hall which, to this day, has been used for the inhabitants of Oundle and the surrounding district. The Declaration of Trust outlines these terms. The Trust is administered by Oundle Town Council, which is served by 14 members. 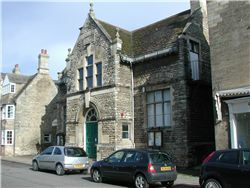 Following an identified need for the modernisation of this much used facility, approval to proceed with a refurbishment project was resolved at the meeting of Trustees of the Queen Victoria Hall, Oundle held on Thursday 10 January 2008. Engagement with the community throughout the life of the planning process was vital and a valued element of the project. 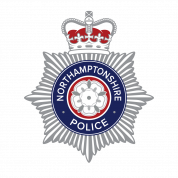 The support shown and encouragement given by the users and wider community assured the Trust of the legacy that the modernisation plans will leave. The sustainability of the building now and in the future is of paramount importance and it is with this aim that the project was embarked upon with the Hall now providing a wonderful venue for hire (see our Hall Hire details). To book the Hall, please contact us on 01832 272055 or email us on admin@oundle.gov.uk Please note that payment is due at the time the booking is made. Trust deeds for Queen Victoria Hall published on 23rd July 2007.